Once again, I am blown away by the action stunt martial artist extraordinair, Jackie Chan. 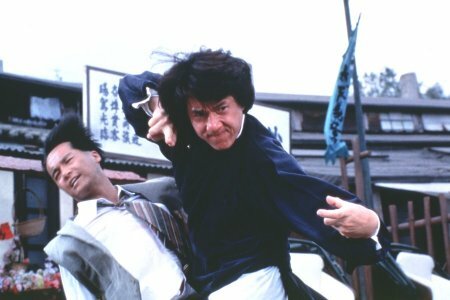 The Legend of Drunken Master provides some of the most complicated and complex fight scenes that I have ever seen. At one point, Chan fights of the 40 or so members of an axe gang. The fight sequence at the end of the movie, where he winds up combating his real-life bodyguard, Ken Lo, has been heralded as some of the most complex fight choreography ever filmed. I didn't know it going in, but this movie was originally made in Hong Kong in 1994 under the title Jui kuen II. Thus, it is completely dubbed. However, this is how I prefer to see Jackie Chan. The Hong Kong films have 2 essential ingredients that set them apart from the more americanized Chan films (such as Rush Hour). First of all, we get to witness a different brand of humor than we are used to in America. Personally, I enjoy this immensely. It is extremely corny humor and would never pass in a script in Hollywood. The second aspect of the Hong Kong Chan films which will always be superior are the stunts and the fight scenes. There is simply no holding back, no slowing down...just pure action. Amazing stunt fighting with several twists of humor. That is what we have come to expect from Mr. Jackie Chan. But what this film offers that others have not is an extremely funny role: that of his stepmother, played by Anita Mui (seen below, in orange). She has quite a wild streak in her which she deceptively hides from her husband (his father). To Chan, she is a gambling finatic with a love for fighting (always encouraging Chan's unique fighting style). To her husband she is a delicate flower incapable of such behavior. It was hilarious to watch her change her demeanor back and forth depending on who was watching. I loved it! In the end, however, I came up a bit disappointed, due to the extreme lack of a story. The fighting was awesome. The action was awesome. There were a lot of funny scenes. But I wasn't blown away nor was I fully engrossed in this film throughout its slow parts. But I did get to see some great outtakes. Every Chan movie has them. They are truly awesome, funny, and simply stupifying. Some of Jackie Chan at his best. Unfortunately, this script was not quite at its best to go along with him. 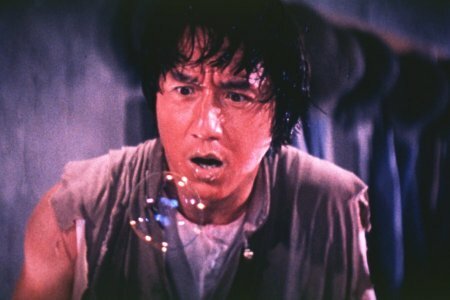 How would you rate the movie The Legend of Drunken Master? There have been 17026 people to visit this page since Sat, Oct 21, 2000. And you are the first person to visit this page today!